Under the direction of Carla Bellucci, Dance Craze is designed to provide your child a complete dance education, including technique, terminology, routines, choreography, coordination and confidence. We offer classes in tap, jazz, hip-hop, ballet, pointe, and lyrical. All programs improve coordination, balance and strength, and build confidence for all ages, three through adult. 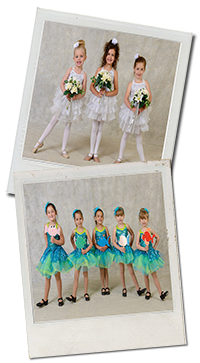 Placement of students is based on previous dance training as well as age. Enrollment is limited to a maximum of 12 to 16 students per class to allow for more personal instruction. An annual dance recital is held the first weekend in June as we feel performance is essential to the dancer’s education. Girls must wear any color leotard, tights, dance shorts, or dance pants. Ballet students are not permitted to wear pants. Boys must wear dance pants or shorts and t-shirts. Proper shoes are required anytime a student is in class. Styles and colors of shoes vary from class to class so be sure to inquire as to what is required for your child. No “street shoes” are permitted in the dance room. Hair must be pulled up at all times if length is past the chin.